Photo credit - Canadian Press. 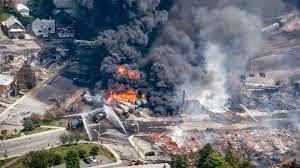 OTTAWA – Periodic flurries of federal regulation, rule-making and reassurance followed the rail disaster last July that killed 47 people, destroyed dozens of buildings and contaminated waterways in a small Quebec town. Details here.